Now days, the only way some people know about “Old School” photography is when they take a Fundamentals of Photography class. Or they find on old vintage camera in their Great, Great Grandma’s attic. We live in a digital age where very few photographers still practice manual and old school photography. 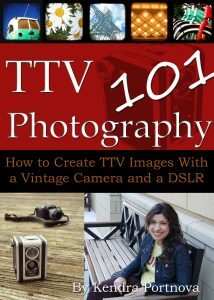 In my e-Book, it will guide you on how to mix vintage style box cameras and today’s digital DSLR cameras to produce some pretty unique images!